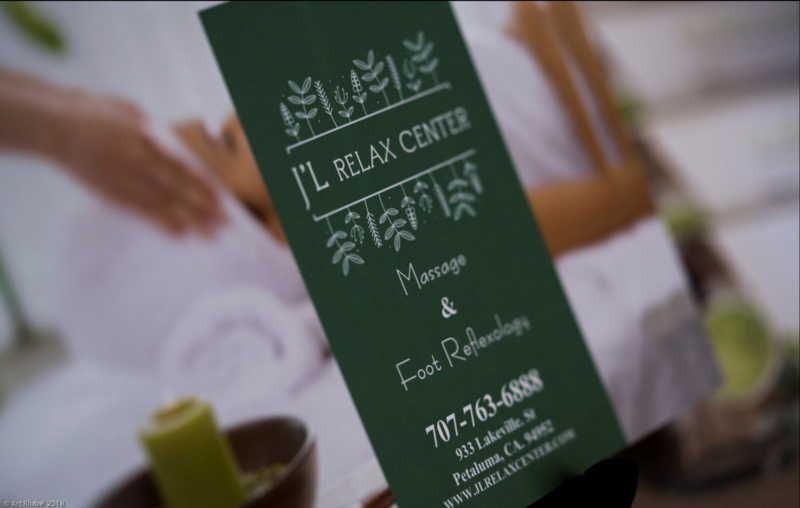 J’L Relax Center is located in the city of Petaluma, in the Lucky Shopping Center 5 minutes from downtown Petaluma and 45 minutes from San Francisco. We have now expanded to a larger location at 933 Lakeville St and have added several more massage rooms, foot reflexology sofas, and a brand new sauna room..
We offer several different massages including Signature Full Body Massage, Hot Stone, Aromatherapy, Sea Salt Foot Reflexology, and Couples Massage. Also all body sessions are a combination of Swedish, Deep tissue and Shiatsu. Our mission is to relax your muscle tension and reduce your stress. If you work long days or carry a lot of stress on your shoulders, we highly recommend a 90 minute Body session. Please come meet our professional and passionate massage therapist. Enjoy our quiet, clean, and comfortable private rooms. Let us give you a luxurious, relaxing massage, and we will treat you just like family. We look forward to seeing you and pampering your body and spirit.